The other day I put a little video in my story on instagram where I was sitting down at the table planning out our meals for the remainder of the week and making a grocery list. 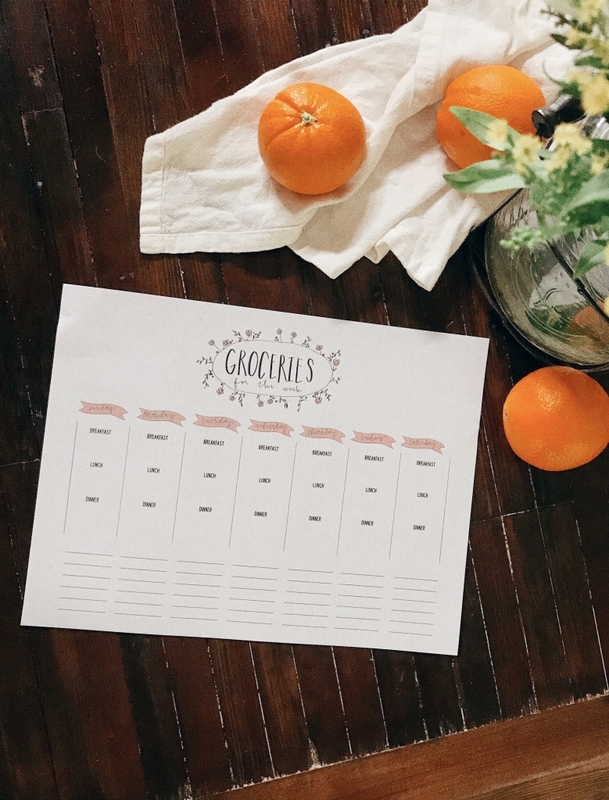 I have a meal planner that my mom gave me a couple of years ago and I absolutely LOVE it. It helps me stay more organized with cooking and food for the week and its so cute so I love having it on our refrigerator! I had a ton of you asking where it was from, so I linked a newer one since mine is no longer sold, BUT I thought it’d be fun to make one for you guys! Y’all are so awesome and I’d love to be able to give you something. I do giveaways often and always wish I could pick every single one of you! This isn’t much but I hope you like it! Just click on the pdf and print it out. This is my first time to do this, so if you have any problems let me know in a comment. If you print it off tag me in a post or story so I can see it in your kitchen! 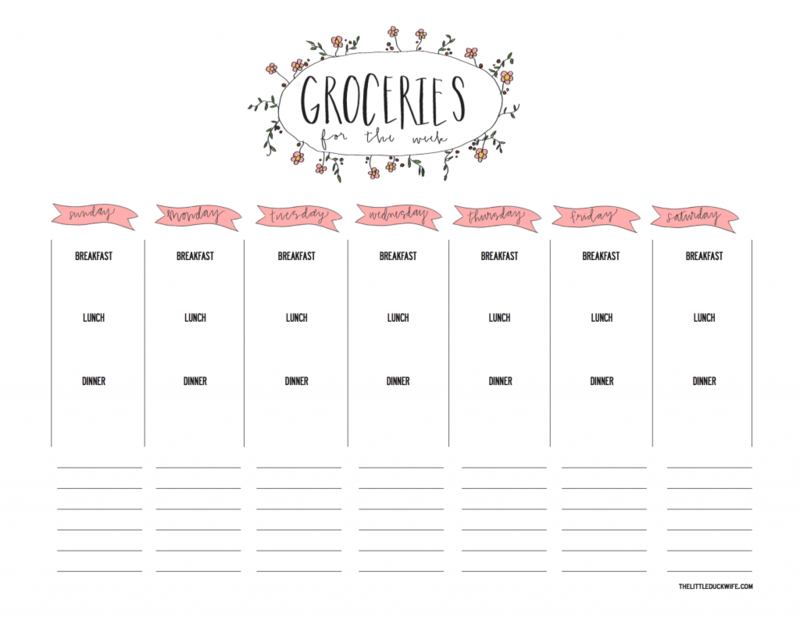 Happy grocery shopping and happy meal planning! Thank you girl! This is so adorable! I can’t wait to use it this week. Do you know if the one who had linked in your insta story is magnetic? Do you cook dinner most nights for the two of you? What are some of your favorite meals to make? I’m always trying to get creative finding easy meals for two. This is so sweet of you, MK! Thank you!